Home Android Apps What is Xposed Framework & How to Install it on Rooted Android? Xposed is one of the most powerful and sought-after tools that every advanced user of Android looks forward to. Xposed is one of the most powerful and sought-after tools that every advanced user of Android looks forward to. This tool has some amazing features that enable a user to customize his Android phone as per his requirement. A normal Android phone may not have certain features that an Android geek wishes to have in his device. And so, in order to customize the device, the Xposed framework has to be installed. The primary requisite of using the Xposed framework is that your phone has to be rooted. It should be noted that the framework by itself doesn’t do much. It allows you to install other apps/mods/tweak with system level functionality without having to flash them via custom recovery. This is why the Xposed framework is regarded as one of the best hacking tools for your Android device. The tweaks that can be done to your phone are available through some modules, which can be considered as some apps which can be installed through the Xposed Framework. Each of these modules have certain definite roles. For example, if you want to increase the standby time of your phone’s battery, you will require to install the AMPLIFY BATTERY EXTENDER module. Why Do you Need to Install Xposed? How to Install an Xposed Module? How to uninstall an Xposed module? In present times most, people across the globe are using smartphones that run on the Android Operating System. The popularity of Android is just because of the freedom that the OS provides to its users. Android is an open source project which means it allows users to modify and make some required change in it according to their needs. In order to make such modifications, your device needs to be rooted. Rooting gives you 100% control over your device. You will be able to perform system-level tweaks after rooting the phone. However, it should be kept in mind that, such tweaks are possible to be made only if you are a seasoned programmer. But never mind, not being a programmer is not the limitation to have a customized Android phone. The Xposed Framework is here to aid you. Install the Xposed framework in your rooted device and explore the plethora of opportunities to customize your phone. The Xposed Framework works on almost all Android devices. However, it needs to be rooted first. Once rooted, the procedure to install Xposed is quite straightforward. If you have already rooted your phone, then follow the steps mentioned below to install Xposed in your device. Go to Settings -> Security -> Tick Unknown Sources. Install the downloaded APK on your phone. Open Xposed Installer. Click Framework and Tap Install. After installation, reboot your Android device. Now you can download and install the Xposed Modules via Xposed Installer. Now download the latest flashable zip file from here: Android 5.0 | 5.1 | 6.0. Don’t forget to choose the appropriate ARM version of your device. Now boot into recovery mode on your device and flash the downloaded zip file. Note: Flashing the zip file may cause boot loops on some devices. So this would mean that Xposed is not compatible with your device or your current ROM. To be safe and to prevent data loss we would recommend you to take full device backup. To uninstall the Xposed Framework you will need to download a zip file and then flash it using a custom recovery. Download the uninstaller zip from this link. Beta is out now! You can try it out! The above steps will install the framework. But merely having the framework installed will not serve the purpose. You will need to have the required modules installed to get its full functionalities. Let’s have a look on how to install an Xposed module. The Xposed framework alone will not do any work in the Android device. You will have to install the particular module based on the kind of tweak you are looking forward to performing in your phone. Launch the Xposed framework in your phone and tap on the download button to find modules. The download screen is divided into three sections: Framework, Installed, Not Installed. The framework shows the details for the Xposed Installer app, and you will be able to download updates from here. Not Installed shows all other Xposed modules. Scroll through the list, or perform a search if you know what you’re looking for. When you find the module that you are looking for, simply tap on the Download button, which is available in the Version tab. This module allows you to perform various tweaks that includes Lock screen tweaks, Status bar tweaks, Navigation bar tweaks, Power tweaks, Display tweaks, Phone tweaks and Media tweaks. Along with these tweaks, this module will allow you to skip tracks playing on the music player of the device by double pressing the volume key. You will also be able to tweak the launcher as well as power and notification control. This module is basically designed for AOSP based ROMs which usually refers to the unmodified ROMs or code from Google. There is hardly any feature of your phone that cannot be tweaked by this module. The Boot Manager provides you an interface to select the apps that you don’t want to run automatically during the booting. This reduces the time taken while booting your device. Moreover, it also helps in increasing the battery life. You might have noticed that in your Android phone, a hell lots of apps are invoked as soon as the phone starts booting. These apps keep running in the background thereby reducing the battery life of the phone also decreasing the device’s performance. Now with this module, you can feel relieved as it will allow only the selected apps to run while booting. You will be given the opportunity to select or deselect the apps which will run or not run during the booting. Are you ever thinking of customizing the navigation and status bar of your phone? Well, you can do that by installing the xSTANA module of the Xposed framework. The current version of this module is 2.5.0 and it requires Android 4.0.3 and up. You should know that customizing the navigation and status bar is possible by flashing custom ROMs in the phone. However, it requires some advance knowledge about the system level settings. The xStana module makes it easier for you by giving you the options to customize the navigation and status bar. The xPRIVACY module strengthens the security of your phone by securing the sensitive data. It also serves the purpose of allowing only selected apps of your choice to get access to the internet, thereby making the device less vulnerable to various potential security issues. This is another cool module of Xposed Framework. Using this module, you can view the different settings of all the apps that are installed in your device. Besides viewing, you can also change or tweak the setting of the apps. Navigation from one screen to another is made easier by this module. You do not need to tap on the back button every time you want to go back to the previous screen. Instead of that, you can simply swipe or scroll your screen left or right to do the navigation. And Find more by yourself and don’t forget to put that in the comment section. The Xposed Framework is like a portal. It alone is of no use in your phone but provides a bridge to install different modules in the device. These modules perform the actual job. They can change the behavior of the system and apps without touching any APKs. 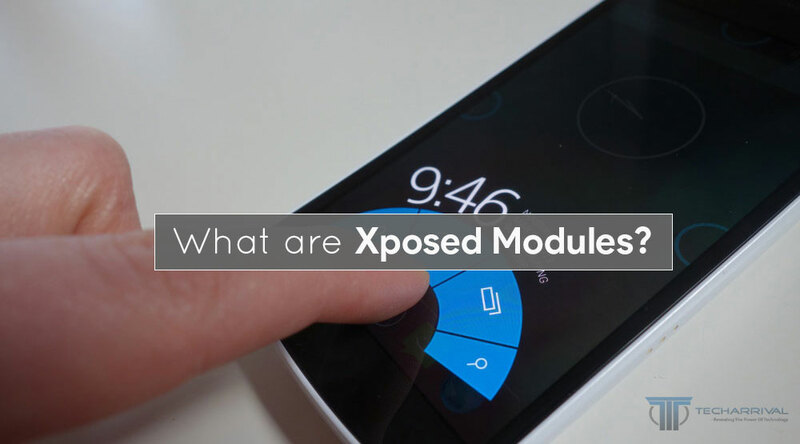 The changes that are made by the modules are independent codes that are installed on the Xposed Framework, reverting the changes is as easy as uninstalling an app. Multiple modules can work simultaneously on the Framework with the same system settings and change it independently. As mentioned earlier, you can uninstall an Xposed module if you no longer need to use it. Uninstalling a module is quite straightforward. You can also disable the module for a period of time instead of permanently uninstalling it. To uninstall it open the Xposed Installer app and tap the Modules option. All your installed modules are listed here. To uninstall an Xposed module long press on the module in the list and then select Uninstall from the options. It’s good practice to reboot once more. To conclude this piece of article, we want to state that though Xposed gives you a whole lot of opportunities to customize the phone, it is yet not free from the risks that it brings. Installing Xposed in your phone or rooting the phone may void the warranty that is provided by the manufacturer. Though some manufacturers of present times do not void the warranty, it is a worth mentioning warning that we would like to give so that you are cautious before taking any important steps. Thank you for reading this post and keep connected to Tech Arrival to continue enjoying such great posts. Share your views on this post in the comment section below. If you are still having any query throw it in the comment section. Previous articleTop 5 Most GPU Intensive Games of 2018: Can Your Rig Run Them All?